In January 1972, the NBC television program “EMERGENCY” made its debut and introduced paramedics to America. This year, EMS week is set for MAY 17-23. It begins today and goes through Saturday. This year's theme is EMS STRONG. 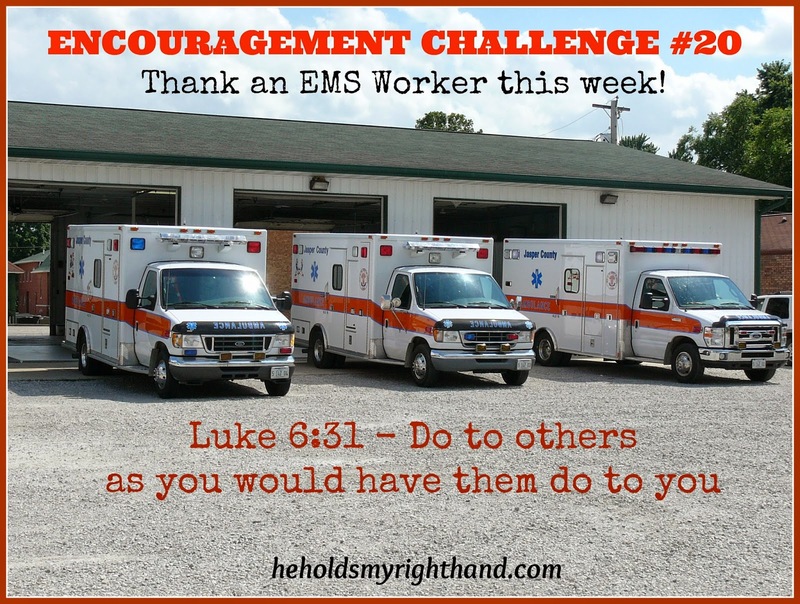 If you know someone who works in EMS, or see an EMS worker when you are out and about this week, please take a moment to thank them for the work they do. Send a card of thanks to your local ambulance department, drop off a plate of cookies, or think of some other way to encourage them to continue serving you and your community. 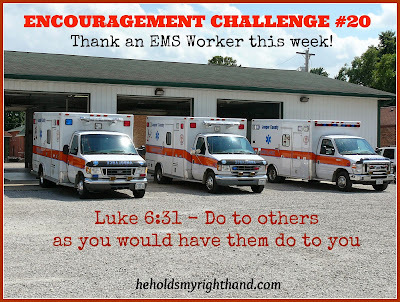 Thank you, EMS personnel, for all you do!